- Korres Bergamot Pear Body Milk. This smells delightful, and the milky texture means it's super easy for your body to absorb. Although not quite as intense as a body butter, I found this was great for easy application before I hit the slopes. - The Body Shop Hemp Hand Protector. I've got most of a post dedicated to talking about this one here, so I'll just say one quick thing: it is my miracle cure for localised eczema and dry skin. 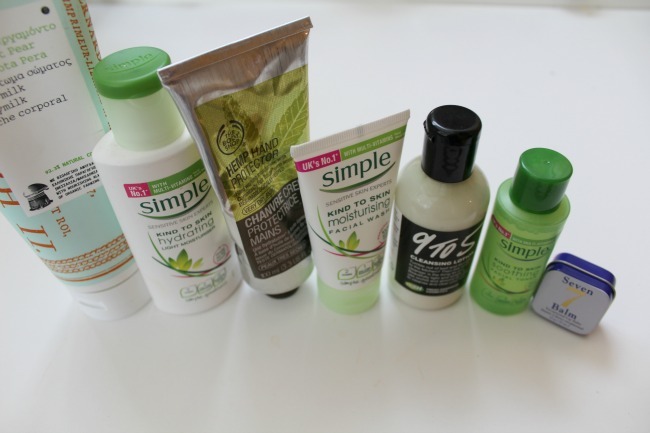 - Simple Kind to Skin Hydrating Facial Wash and Kind to Skin Hydrating Light Moisturiser. These are such a winning pair for me. When I was out skiing often the only thing that was uncovered was my lower face, and so it was at risk of getting dried out and wind chapped. A healthy dose of these in the morning and the evening meant I didn't end up with that awful crusty flaky skin that seems to happen every time my face gets too dry (TMI??? It happens). These two combined with the Simple Kind to Skin Soothing Facial Toner really made sure that my face wasn't uncomfortably dry either! - LUSH 9-5 Cleanser (we all knew LUSH would sneak into this post somehow!). This formed a brilliant part of my nighttime skincare routine. Not only does it effectively remove makeup - even my waterproof mascara, hallelujah! - but it also moisturises your skin, keeping it super soft. - Seven Balm. I'm one of those nervous lip-chewers, and being up on a mountain slope with only my skis keeping me safe was not exactly relaxing. So, I needed something heavy duty. Products like Vaseline are usually wasted on me - they dries my lips out providing endless amounts of lip skin to chew - oh the joy! This Seven Balm is the first lip product I've ever used that has actually successfully kept my lips from drying out and cracking even in the below freezing temperatures I encountered here! 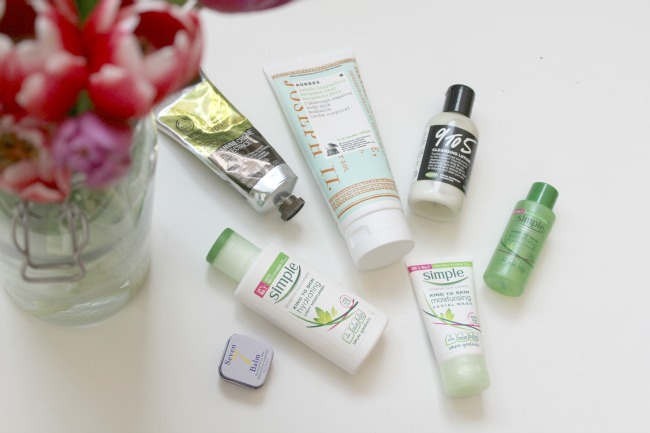 What are your winter holiday skincare essentials? I'm so glad! Mine used to be too! 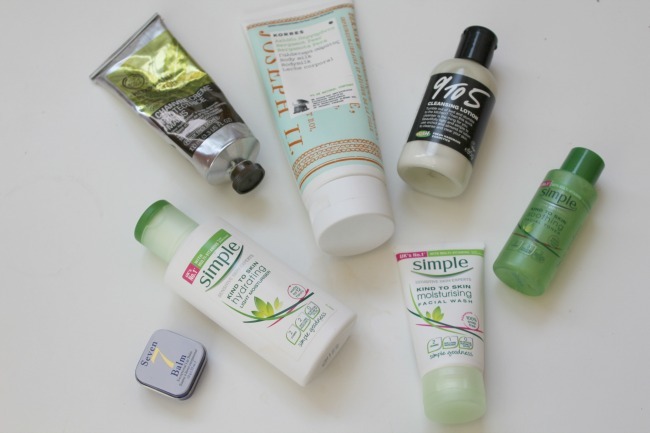 The simple line is such a fab one for sensitive skin and so many bloggers seem to be fans! I've just got some nip and fab products and can't wait to review them!